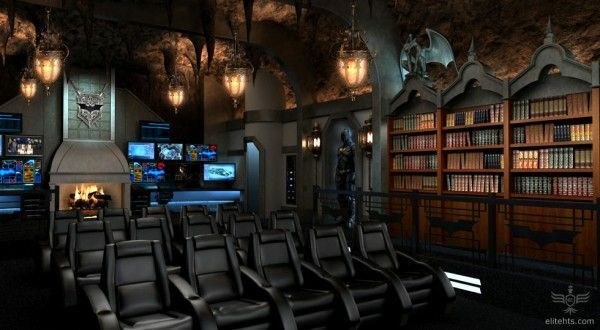 Do you have Bruce Wayne’s income but don’t know what to do with your hard-earned money? 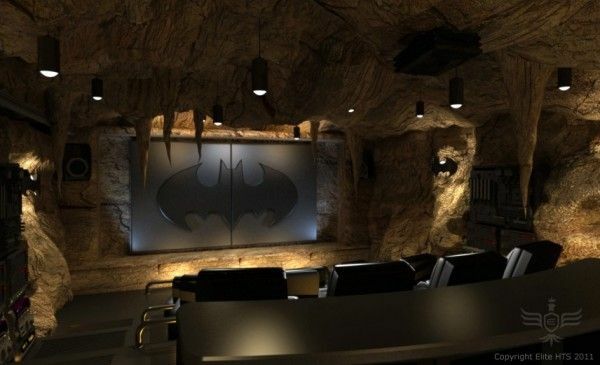 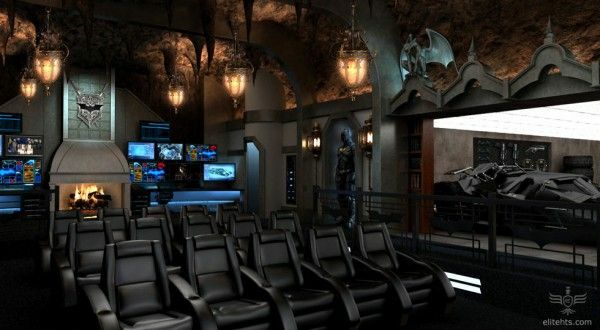 How about installing a replica of the batcave from The Dark Knight Rises in your house, complete with Batsuit, Batmobile and your own fully functioning movie theater? 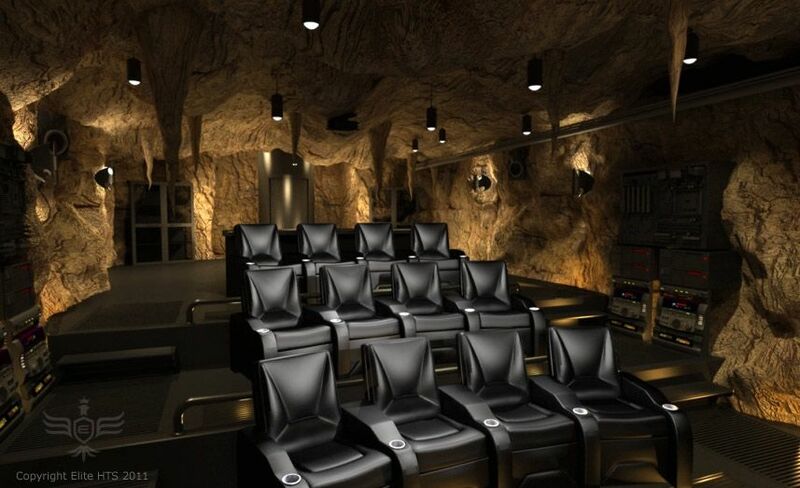 Elite Home Theater Seating has done just that for one of their clients, whose 12,000 square foot dwelling already mimics Wayne Manor, down to the bust of William Shakespeare concealing a switch for elevators and a fingerprint scanner which allows access to the theater itself. 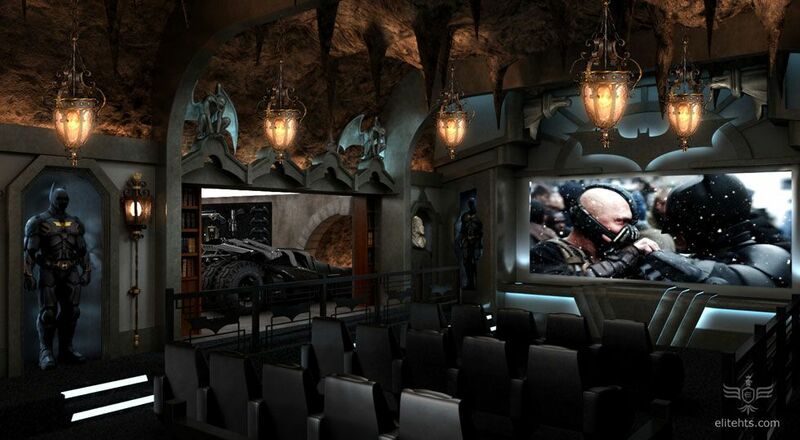 Still in commercial theaters, The Dark Knight Rises stars Christian Bale, Anne Hathaway, Tom Hardy, Morgan Freeman, Michael Caine, Gary Oldman, Joseph Gordon-Levitt and Marion Cotillard. 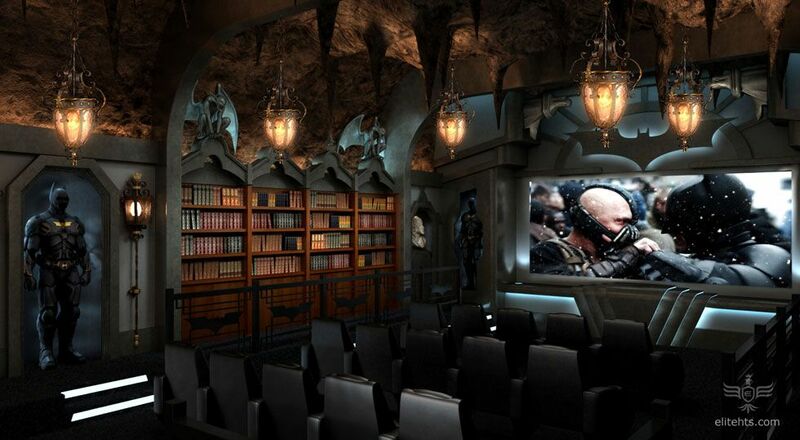 Hit the jump to check out the ridiculous images. 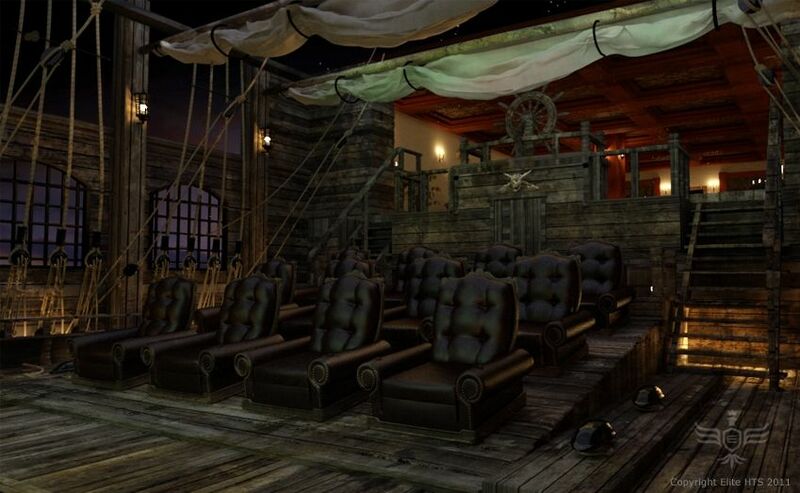 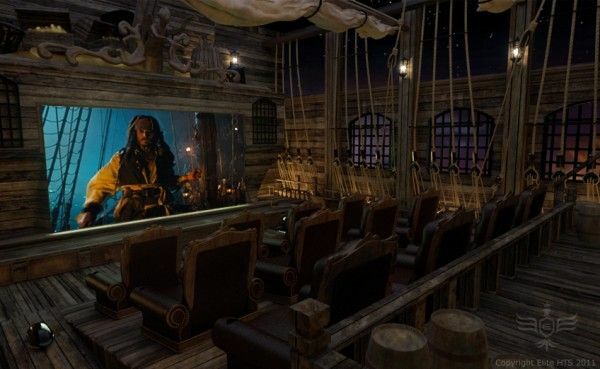 Maybe Batman isn’t your thing and you prefer something a little more nautical, perhaps Pirates of the Caribbean style?